Apart from the festivals and fasts the other obligatory duty of a Hindu is towards his ancestors, the manes called Pitru. On the day (Tithi based on the Hindu Calendar traditionally followed by him) of the demise of one’s father or mother, it is obligatory on the part of the son to perform Shraaddha (‘obsequious’ ceremony). It involves invoking the dead ancestors in rice-balls and offering them food and water mixed with sesame seeds (tila). The learned Braahmins are invited, considering them to represent one’s ancestors. Performing this annual Shraaddha is a duty of every son towards his deceased parents. The Shraaddha Karmas are also performed in certain holy pilgrim centres like Raameshvara, Kaashi (Benaaras), Ujjain, Prayaag, Badri and Gayaa which are considered to be very auspicious. Gayaa in Bihar has a pepul tree (Akshaya Vata) and a foot imprint of Lord Vishnu, wherein thousands of Hindus throng everyday, to offer the Shraaddha. It is considered to be ‘Summon bonum’ on the part of the son to perform a Gaya Shraaddha. The Gopura, the entry point of the temple has lavish spread of figures of deities of eight quarters, propitious deities, demonic forms etc. along with images of worldly representation. By passing through this huge edifice, the devotee is made humble in presence of God’s cosmic creation and tends to be more introvert, leaving behind the mundane affairs. 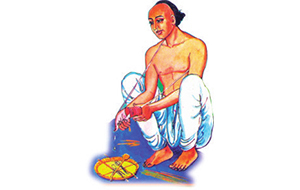 The balipeetha is symbolic for sacrificing one’s ego in God’s presence, to have His vision. By making a prostration, the devotee symbolically sacrifices the animal instincts in him. Next the rhythmic steps to flag post is the representation of breath control (Praanayaama) which ultimately results in control of mental activities, an essential pre-requisite for divine vision. Vaahana of the deity represent some symbolic quality. 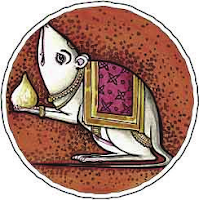 For eg., the ‘mouse’ of Lord Ganesha represents the fickleness of mind, the ‘peacock’ of Lord Subrahmanya stands for ego etc. These tendencies have to be tamed. 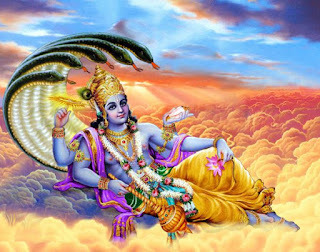 The Lord mounting his vaahana (eg. 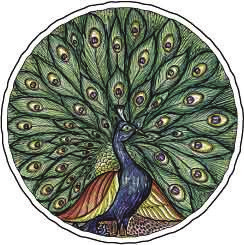 Subrahmanya on Peacock) implies that He has tamed his vaahana, similarly it signifies that our egoic nature has to be tamed and erased ultimately. The sanctum or garbhagraha itself is a small dark room representing the human heart. The darkness stands for ignorance obstructing the vision of Self. When the Archaka (temple priest) waves the light, we have the vision of the Lord, symbolising that when one treads the path of knowledge shown by the spiritual Preceptor (Guru), he can have the vision of supreme Self within. These are some of the symbolism to be kept in mind before visiting a temple, rather than making it a routine and dogmatic act. When an act is done with full awareness of the purpose, its results are manifold. People go on a pilgrimage (Teertha Yaatra) visit holy places and pilgrim centres, the most important and holy among them being Raameshvara – Kaashi – Prayaag – Haridwaar – Kurukshetra – Badri etc. Kaashi is considered as the city that grants liberation to anyone who dies or is cremated there, and also considered as the holiest of all.